It’s easy in the process of transitioning into adulthood, or any transitioning season of your life for that matter, to look around to others as an example. Every transition is unique, yet we are prone to expect guidance, whether it be from Hollywood, social media, friends, or family. It takes courage to step into all of yourself with or without confirmation from all of those around you. My personal challenge, being raised by parents who were at the forefront in ministry, was feeling the pressure of those in the church who had no issue picking me out of the crowd. My parents were two of the greatest examples for me of what it looks like to follow Christ and live life fruitfully. So I felt shaken by the fear to impress them and those around me with my decisions. It was this fear that subconsciously caused me to hide behind the shadows of my family rather than stepping out of hiding to fully come into myself—the Olivia that Christ imagined. The parable of the talents speaks to a similar dilemma, and personally ministers to me as I navigate through this transitioning season of my life. In Matthew 25:14-30, Jesus tells the story of a master who grants three servants a unique amount of talents, or gold, and leaves them for a time while they manage these talents. When the master returns, the first and second servants have invested their talents and increased what was given to them. But the third servant admits that he was too fearful, particularly of the master’s expectations of him, to have done anything but to bury his talents in the ground. What stands out to me in this passage is the master’s lack of remorse for his servant despite the fact that he recognized the pressure placed on his servant. I believe this is because the master had confidence in his servant; the servant had the ability to excel. The servant also seemed to know this. I can just imagine his overwhelming guilt as he had nothing more to place into his master’s hands. It was fear that kept the third servant from even trying. I was immediately convicted by the fact that my life looked a lot like the fearful third servant. The lack of investment, I realized, was not simply with currency, but with the gifts and dreams that God had placed in my heart. In my eyes, I was the sweet, quiet, and intelligent child of a pastor. However, God’s Spirit could no longer fit within this box. Just like the fearful servant, my misunderstanding of how Christ saw me sapped my courage to step out into my dreams and be DISRUPTIVE. These dreams begin with the conviction I feel to respond to the current plight of our United States, the Holy Land, and several other countries. They speak to the plight of our Church in effectively reflecting him outside of our buildings as well as we attest to him inside of them. These dreams look something like travelling the world with the creative and performing arts to minister of HIS personhood, love for us, and desire to become one with us so we might be reflections of HIM in the earth. However, my life does not currently reflect this to the magnitude with which this vision seems to be bursting out of my heart. I have a responsibility to move out of fear and re-focus on the investment of what God has placed inside of me. When I hold on to the “talents” God has provided, I may produce something that looks relatively good on the outside, but I am literally robbing God of the glory that He has placed inside of me. Although this may go unnoticed in other’s eyes, I feel it via an accumulation of fear, self-loathing, insecurity, and doubt that can sneakily find its way into my personal relationships, work relationships and, probably most importantly, into my future. Only God can reveal the true hidden depth of the treasures that He has placed inside of me, but in order to discover the glory of this depth, I must be willing, obedient, and courageous enough to invest my gifts. Above all others, it is the Master’s voice I must follow, because it is His investment I contain. 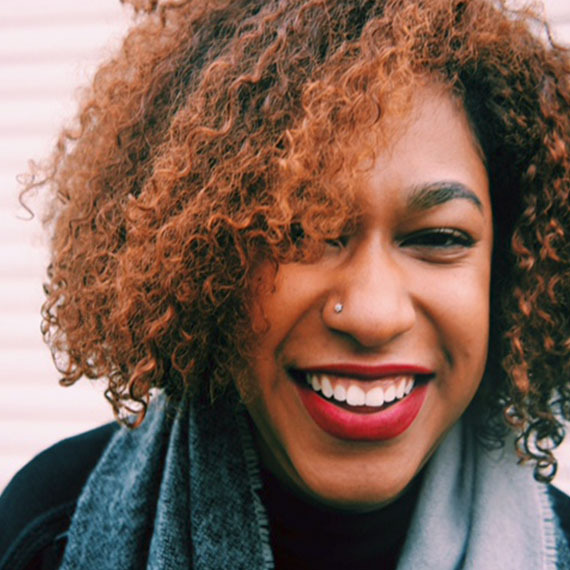 —Olivia Brown is a senior Fashion Merchandising and Management major at Philadelphia University.